In the early 1920’s a growing group of European farmers were increasingly concerned about what they were witnessing on their farms. Their soil was depleted, their seeds weren’t germinating, their crops’ quality was declining, and their animals were suffering. The overall life and vitality of their farms was markedly changing. Seeking the causes behind their observations, the farmers approached Dr. Rudolf Steiner-a well-know scientist and social advocate, who is now best known as the founder of Waldorf education- for guidance. It’s helpful to place this story in the context of the times. Prior to the advent of industrialization, our communities were agrarian and people lived on their farms. They grew food for themselves and their farm animals. Lots of different crops grew and the farm itself existed in a larger ecological context of forests, plains, and watersheds. People lived in tune with the seasons and the celestial rhythms. But by the turn of the last century, people moved from their farms to the cities. Factories were built focused on increased production based on the increased utilization of our natural resources. It’s not surprising that farms began to resemble factories. Following WW I, chemical companies craftily promoted materials that had been used in making bombs and nerve gas to farmers as fertilizers and pesticides. Antibiotics, recently discovered, were promoted as treatments to farm animals that would allow farmers to keep them indoors under conditions of extremely restricted mobility. Is any of this sounding familiar? Today we call this industrial agriculture, factory farming, all done with the shared goal of the highest output at the lowest cost. The problem with this thinking, then as now, is that the true costs of this type of farming- soil degradation, water and air pollution, animal suffering, climate change- are not accounted for. Steiner’s answer to these farmers was both simple and revolutionary. He beseeched them to stop thinking of their farms as factories and start thinking of them as living organisms: self-contained, self-sustaining, following the cycles of nature. He suggested that the farms themselves should be responsible for creating and maintaining their own health and vitality, without dependence on outside inputs like fertilizers and pesticides. Steiner proposed that people’s own health was intimately connected to the health of their farming communities, and he was one of the first public figures to warn that the manufacturing view of agriculture would result in environmental destruction. Remarkably, in the following years, that same group of farmers reconvened to codify what Steiner had discussed in a farm standard and began to ensure its uniform adherence via certification. Imagine that- an eco-label in 1928! Demeter- named for the Greek goddess of agriculture- remains the oldest ecological certification organization in the world, and today operates in over fifty countries around the world. Here in the USA, Demeter was formed as a non-profit in 1985, a full seventeen years before the launch of the National Organic Program. It’s interesting to note that in 1938, many years after Steiner’s lectures, an English gentleman named Lord Northborne, a professor of agricultural science at Oxford, coined the term “organic” from Steiner’s view of the farm as organism. History could view Biodynamic as the inspiration for organic. But while today’s organic standard is very narrow in its focus on allowed and prohibited inputs, the Demeter Farm Standard is quite broad in its requirements and is historically significant because it dates back to the beginning of the modern sustainable farming movement and captures key agricultural principles not comprehensively addressed in any other certification system. Demeter’s vision is to heal the planet through agriculture. So how do farmers translate this principle of the farm as a living organism into daily practices on their farms? Biodynamic farming includes organic certification prohibitions against the use of synthetic pesticides and fertilizers. But, maintaining that idea of the farm as an integrated whole, the entire farm must be certified (versus a particular crop or field allowed in organic certification). Farmers must devote at least 10% of total acreage to wild area, for example oak groves, riparian areas, and wetlands. Integrating livestock, building compost, and utilizing cover crops generate on-farm fertility. Disease and insect control is created through botanical species diversity and predator habitat. The use of eight preparations is required, acting as homeopathic remedies for the farm and used to build soil and compost quality. GMO avoidance is a requirement of the standard, as it is for organic, but Demeter takes that one step further by saying NO to GMO: those crops that may be at risk of contamination must be tested and if there is any trace of GMO in that crop it will be decertified. Ensuring that the integrity of these agricultural ingredients is delivered from seed to shelf, standards for processed products require significant Biodynamic ingredients that are minimally manipulated. The goal is to ensure the vitality of the agricultural ingredients define the finished products. No wonder Biodynamic juices, pastas, wines, and fruit spreads are not only delicious, but also maximally nutritious. While Europe enjoys a more mature Biodynamic marketplace with thousands of Biodynamic products eagerly sought by consumers, and ten percent of Germany’s organic farmland is Biodynamic, awareness is growing amongst American shoppers who are beginning to seek them out while shopping. It should come as no surprise that some of the best US organic food companies see Biodynamic as a natural next step in their commitment to the production of the highest quality products produced in the most ecological way. Amy’s Kitchen, The Republic of Tea, Lundberg, Lakewood, Guayaki, Crofters, Sun Belle, Kedem, Wholesome Sweeteners, Natural Nectar, Back to the Roots, and DeLallo are just a few of the companies that are bringing Biodynamic products to market this year. For a current directory of all of the Biodynamic farms and brands in the USA please visit: www.biodynamicfood.org. Does the key to the future of sustainable farming lie in it’s past? You bet. We know that you join us in a vision of the world that honors our farms and farmers, is committed to bringing the purest products to market, and helps to heal our planet, and its people, through agriculture. For more information about Biodynamic agriculture please visit the Demeter website: www.demeter-usa.org. 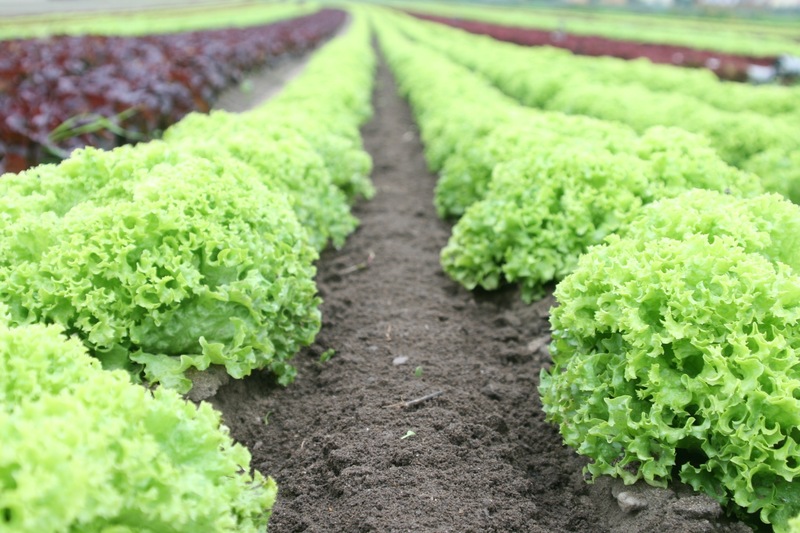 ← Organic Certification: Why is it Important?